Once you've closed a sale with a new customer, the sales process doesn't have to end. Customers aren't a one-time resource. They're a renewable resource that you can keep selling to over time, benefit them and you as well. Someone who's already bought something from you is much easier to sell to than a complete stranger. An existing customer already has a stake in your company and at least one of your products. He is obviously satisfied with his purchase, or he wouldn't still be a customer now. So your customers present a great opportunity to make some sales with much less effort – and rejection – than the usual cold pitch. One excellent approach for current customers is the 'account review' pitch. 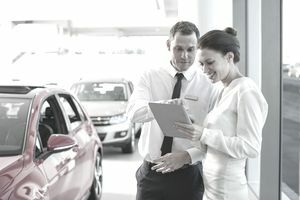 About once a year, call your customer and suggest that you meet briefly to talk about how their circumstances have changed in the past year so that you can determine if their last purchase from you is still the best product for them. Taking the time to write up a standard list of questions ahead of time will help this meeting go smoothly. Even if your review doesn't turn up an opportunity to upsell to that customer, you'll still have made a good impression as a helpful expert. And frequently you will find a good reason during the review to either upgrade the customer to a better product or sell him additional products. Another way to approach existing customers is to hold an event once or twice a year. Customers often get annoyed by the fact that new customers qualify for special deals while existing ones don't. You can make a point of bucking this trend with a 'customer appreciation day' at which you offer discounts, coupons, small gifts, food, entertainment, prizes, and anything else that appeals to you. Raffles are a terrific option because it gives you a chance to collect everyone's contact information for follow-up purposes after the event. The other major reason to cultivate existing customers is to pick up referrals. Customers are a fantastic source of warm leads, but they usually won't volunteer those leads at random. If you spend a little time 'training' your customers, you'll find that they will happily give you leads or even tell their friends and colleagues to call you themselves. A liberal distribution of your business cards will help, as will other branded material with your contact information – notepads, refrigerator magnets, sticky notes, etc.